Troubleshooting wireless can be hard. Where I am working, we have to deal with loads that vary with the day and with the season. Couple those variables with everything that happens in the air and it can lead to plenty of headaches. 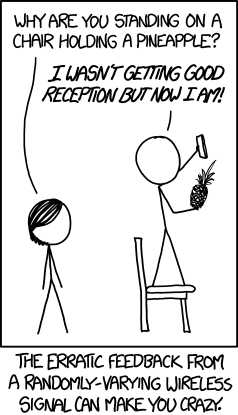 I've ordered some pineapples to compensate.